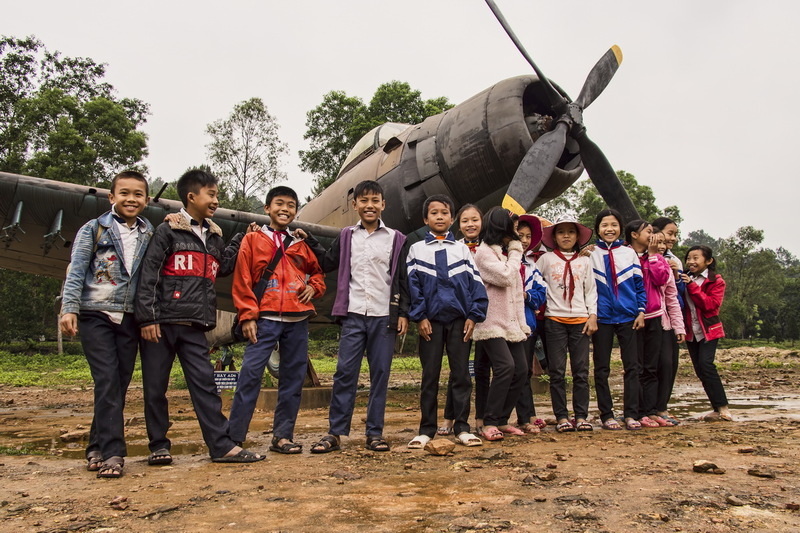 Ho Chi Minh Trail by Ural… From the coastal town of Vinh on the Gulf of Tonkin, our route along the HCM Trail took us to Phong Nha near the Laotian border. 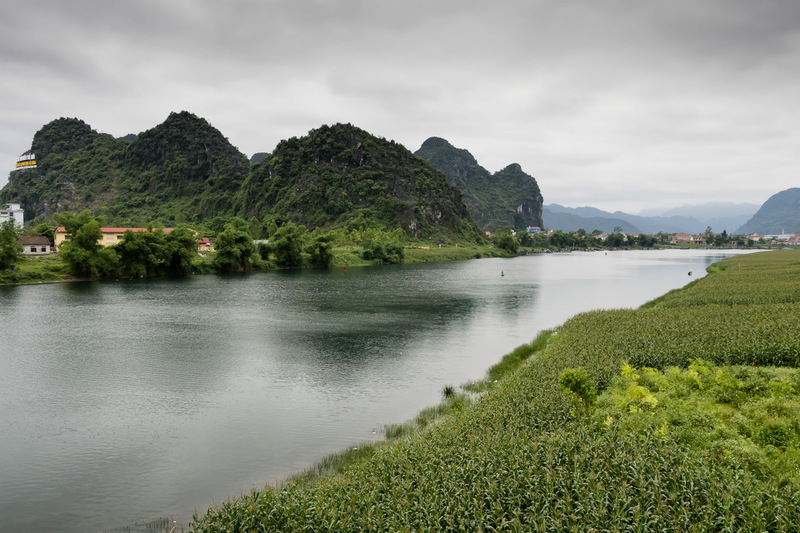 A journey that takes you through some of the most spectacular scenery in all of North Vietnam. 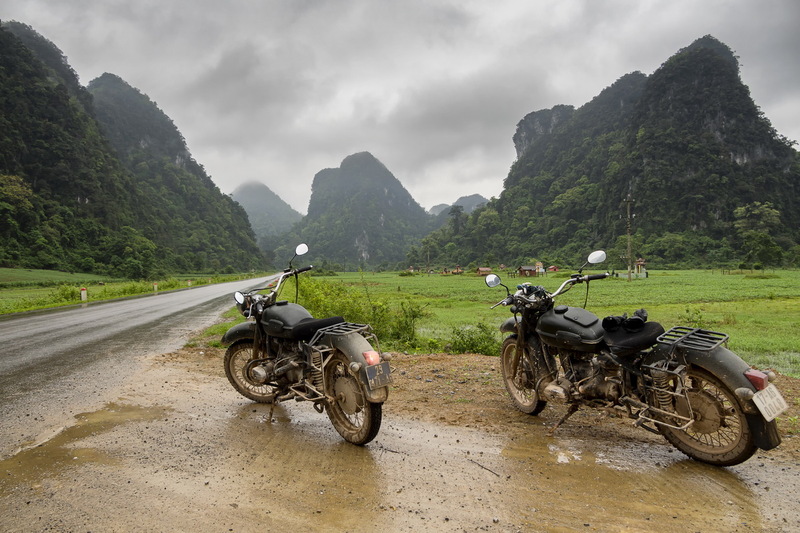 The incredible karst limestone formations and immaculate, untouched forests of the area made the journey, without doubt, one of the defining rides of the whole trip! 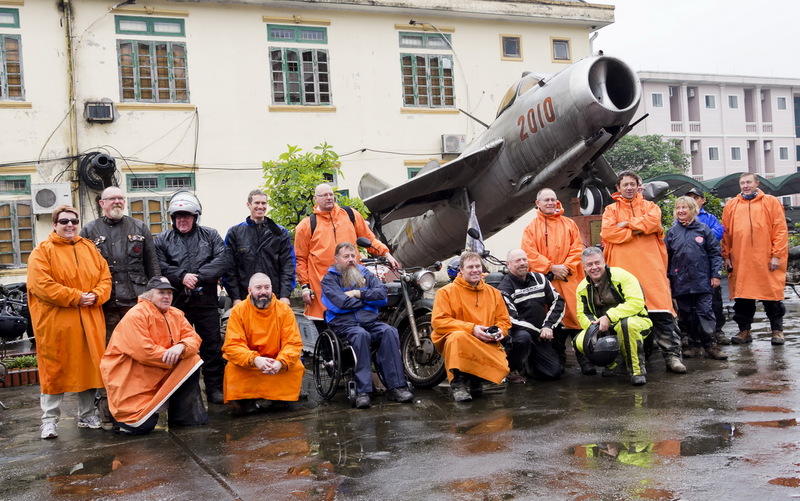 Our day started with a team photo underneath a MIG jet. Left over from the “American War” at Vinh’s HCM Trail Museum. With everybody dressed for the wet weather that greeted us that morning. But soon we were enjoying beautiful country scenery again and another photo-opportunity… This time at the official start to the Ho Chi Minh Trail at Dong Loc. 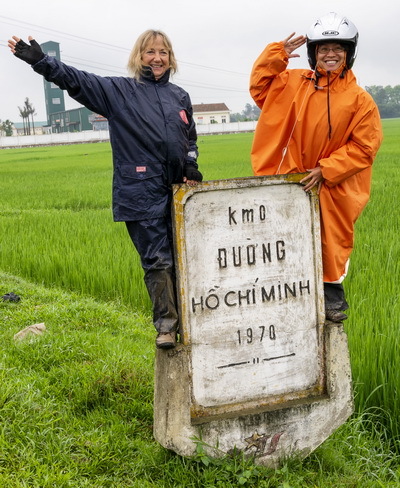 As we left the coastal rice fields behind, the path of the HCM Trail took us up in to karst country. And the incredible scenery of north-central Vietnam. The previous day’s long ride from Mai Chau to Vinh had calibrated us to the idiosyncrasies and “digital” nature of the Urals. And I think we all started to really appreciate the character of these unique bikes. Riding the Urals through the mountain passes with the stunning karst formations all around was for me one of the most memorable parts of the whole journey. The general area is remote to say the least and the scenery was simply exceptional. And there we were riding through it all on remnants of WWII technology – still going strong! 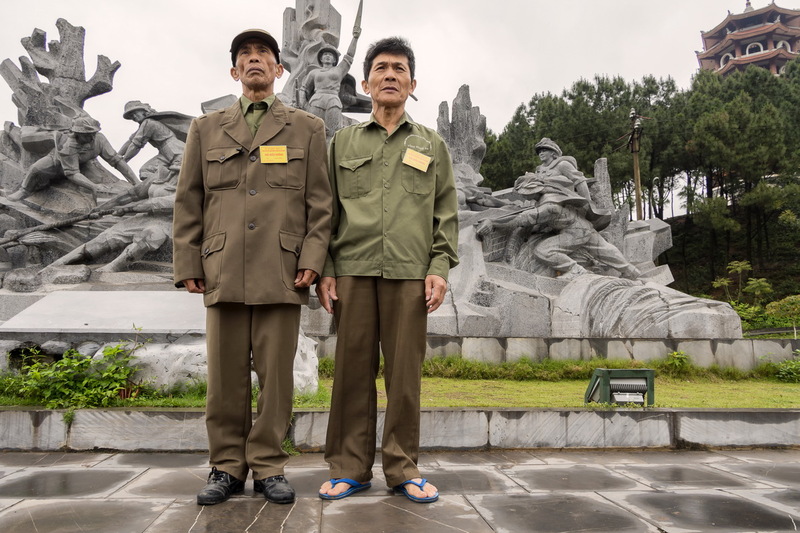 We broke the journey with a visit to the Dong Loc Intersection memorial. A section of the Ho Chi Minh Trail which was heavily bombed by the American forces during the war. This was quite a poignant moment for me personally. Wandereding around the memorial observing “Vietnam Vets” paying their respects to those who had fallen. Combined with young friendly kids seemingly oblivious to the significance of the memorial. All in all a great day and exactly why I wanted to do the trip. 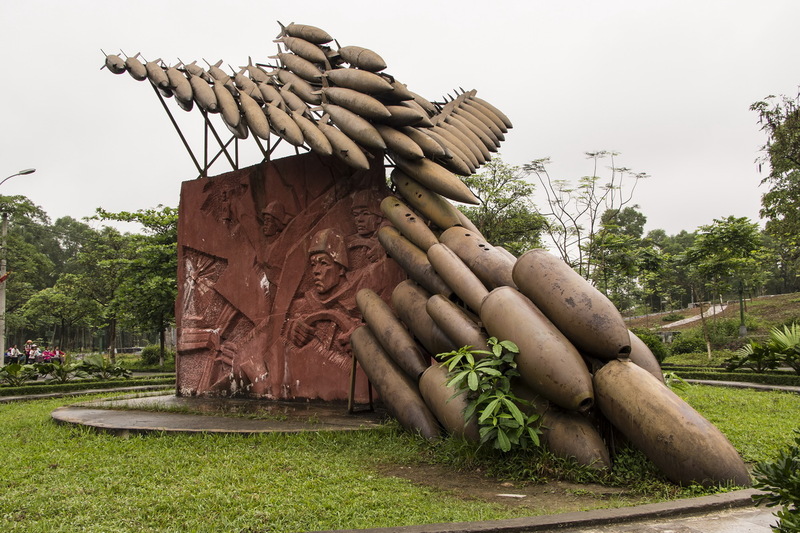 Rural Vietnam at its best, mixed with the poignant reminders of the Vietnam War. All seen from the saddle of the somewhat idiosyncratic but eminently suitable Russian Ural. Which took it all in its (slightly agricultural) style! Made Mastra on Buying a Vespa in Bali – Not Quite What it Seems! Tim Milford on Buying a Vespa in Bali – Not Quite What it Seems!